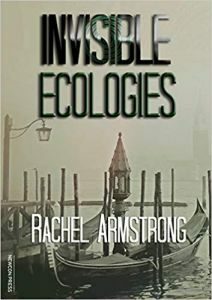 Rachel Armstrong’s second novel Invisible Ecologies is subtitled Songs of the Ecocene II although, from what I could tell, it is unrelated to last year’s Origamy, which is now volume I of the series. The interesting thing about this series title, I thought, is that actually when you step back and think about what you’ve read, ‘Invisible Ecologies’ takes on the aspect of a song rather than a novel. It’s not written as a song of course, but you end up with the impression of it having been some kind of epic folk ballad.